Don't get your binding in a twist! Choose One Easy Binding Winder Easy Binding Winder Spool Pack - 2/pkg. 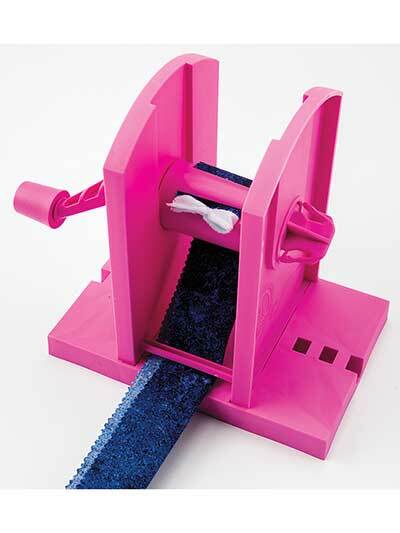 Keep your binding, trim, lace, ribbon, piping and more from bunching or piling up in a mess with this easy-to-use winder! 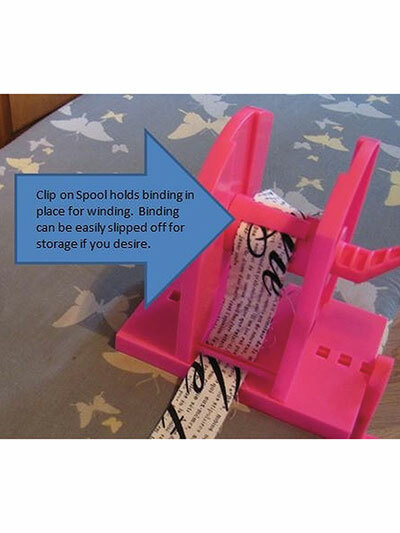 It simply clamps to your ironing surface when you want to wind up your binding, or you can set it next to your sewing machine so it will easily feed out for you to use. It is especially designed for those who might have compromised agility or strength in their hands, and since it's lightweight it's easy to take to and from classes. You can store it just about anywhere! No batteries or electricity are used - it's completely human-powered. 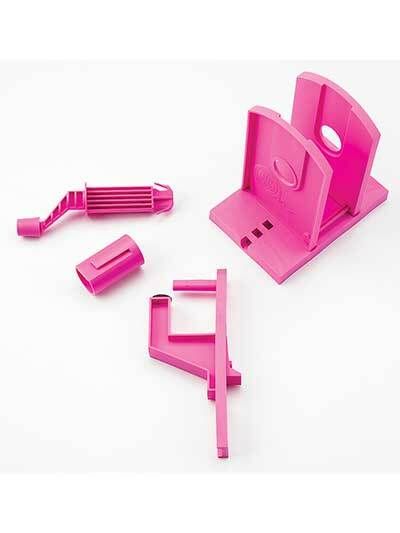 It comes fully assembled with 1 spool, an easy binding winder tower, easy-release clam and a user guide. 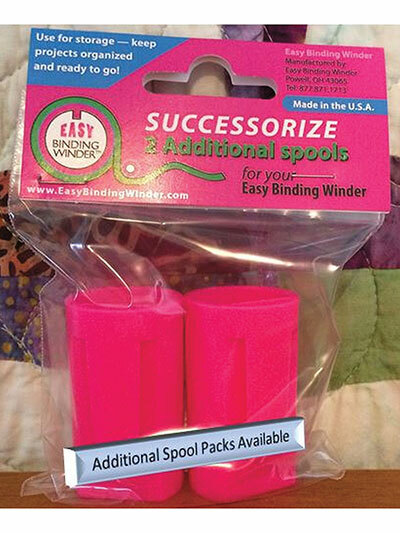 After seeing my friend's Easy Binding Winder, I knew I had to have one and the price at Annie's was the best . My winder arrived just in time for a queen sized quilt I am making for my son and his wife and today I got to use it for the first time and I LOVE it! Even though I don't anticipate needing the two additional spools, I ordered them as insurance in case I lose or break one. This is the best product! This is such a time saver. 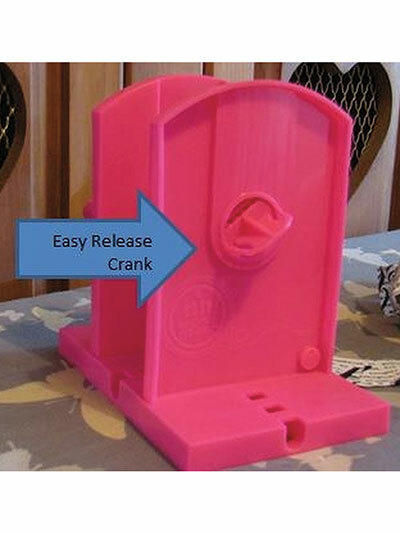 I attach it to the end of my ironing board with 2 small DeWalt Clamps and wind the binding as I press. Store the binding until ready to use. Purchased a 2nd one to use with our Lap Robes for Veterans group. Bought this when it first came out a year ago. Love love love this tool. Attached to table any size binding rolls off perfectly! 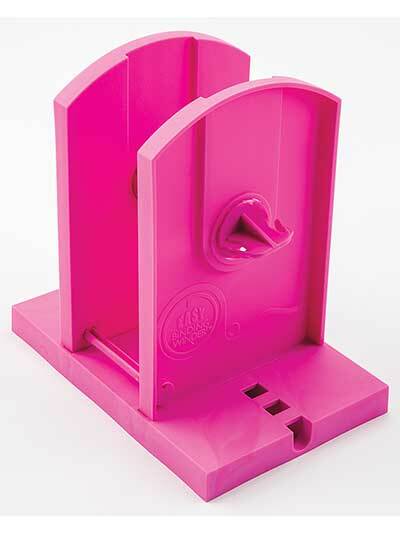 Helps put bindind on quilts, cloths, purses, totes. Really easy to use. When your making binding, no more bunching up at end of iron board, keeps it neatly in place by rolling up for you. This is a great tool. 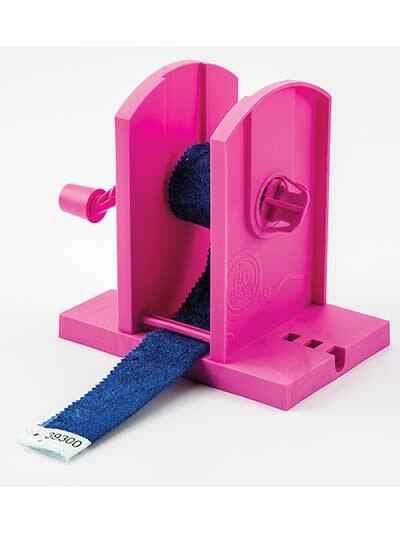 The Easy Binding Winder does exactly what it promises. 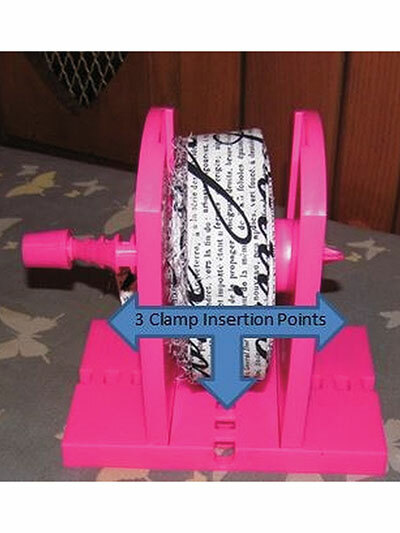 It winds up and stores your quilt binding so it doesn't even touch the floor, stores it until you're ready to sew on your binding, and then smoothly glides off as you sew it to your quilt. This is a very handy tool for a quilter. I use mine for every quilt I make. This is such a simple concept that I'm surprised no one has come up with it before. Forget toilet paper rolls or empty thread spools - I love using this as I'm making my binding, and even more when it's time to put binding on my quilts. It feeds right off the winder as I'm sewing it down - I just set it to the right of my sewing machine and start sewing. If you make your bindings as you complete your tops (so they're ready to go when the quilting is done) I recommend getting extra spools and storing bindings on the spools. They come off the spools quite easily for storage, but it's rather difficult to just slip binding back onto a spool without winding it up again. I highly recommend this tool - I no longer dread binding my quilts and am getting a lot more finished since I got my Easy Binding Winder!